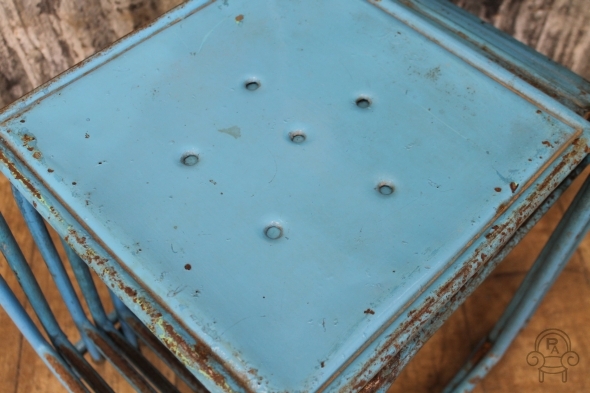 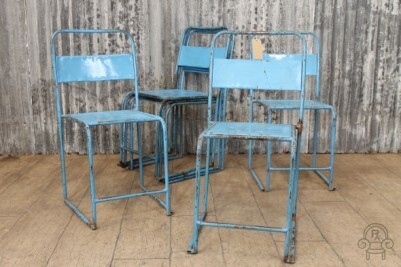 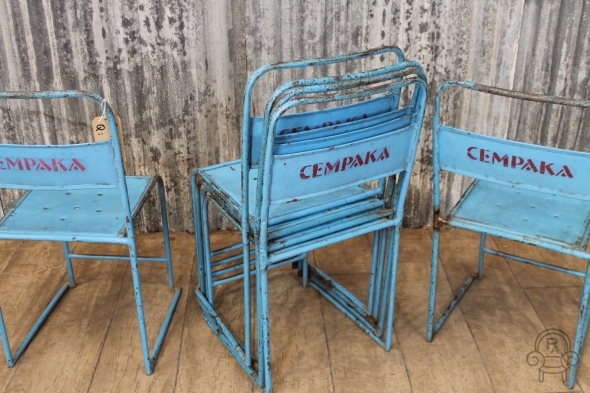 These industrial vintage blue metal stacking chairs are a great addition to our extensive range of retro furniture. These shabby chic blue metal stacking chairs are full of charm and character, and they are very useful in any contemporary kitchen or dining room due to their stacking ability. 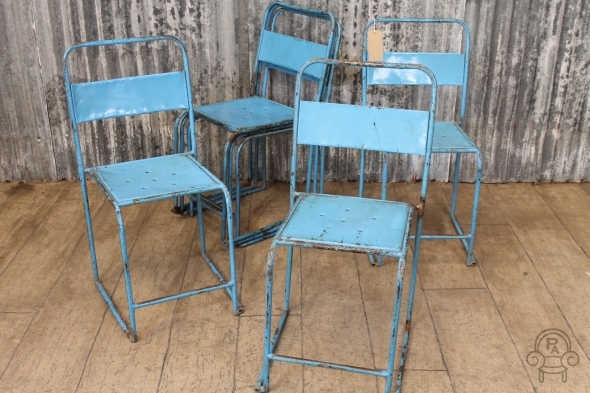 These rustic metal stacking chairs are in good condition for their age with no breaks to the steel work. 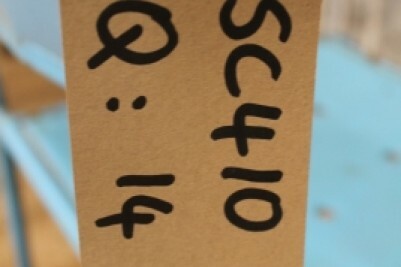 As you can appreciate, there may be marks to the paint work which we feel adds to their character. 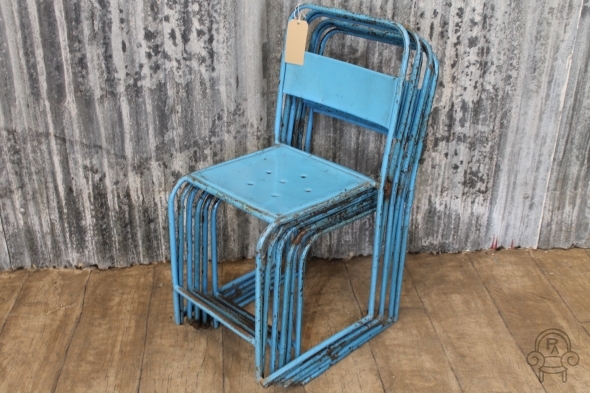 There are also some areas of rust which adds to the chairs industrial appearance. 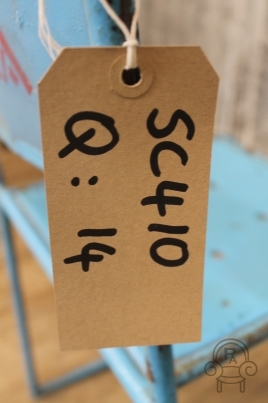 Please note – this price is for one chair only.